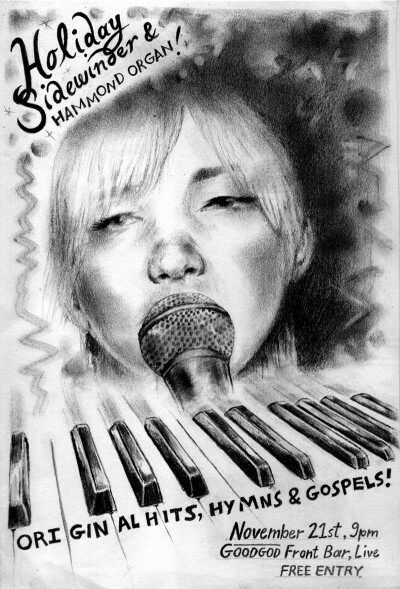 GOODGOD Small Club ~ HOLIDAY SIDEWINDER & HAMMOND ORGAN! HOLIDAY SIDEWINDER & HAMMOND ORGAN! Settle in our front bar for a very special evening as Holiday Sidewinder (ex-Bridezilla) plays a one-off Sydney show accompanied by Hammond organ! Expect original hits, hymns and gospel in a rare show from one of Sydney’s finest! Free from 9pm.